Since 2010, we have carried out projects in 18 countries across Sub-Saharan Africa. We have been deliberate and thoughtful about selecting places all around Africa where we have established a presence. 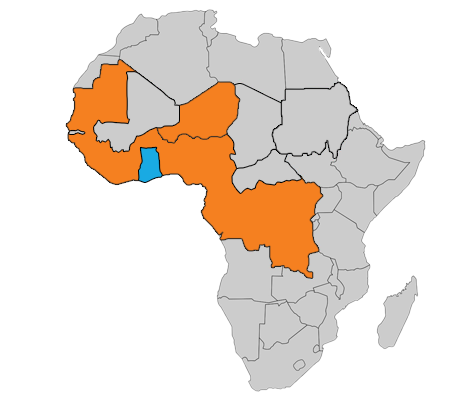 Our coverage extends across all of West and Central Africa. Our roots in these places have been firmly wedged and continue to deepen with time. We have seen, heard and witnessed first-hand from diverse cultures adding on to our enriched cultural perspective of the people of Africa. Where others see barriers, we see insights and opportunities.